The world is changing at such a rapid pace that the future is here and it's being driven by data. 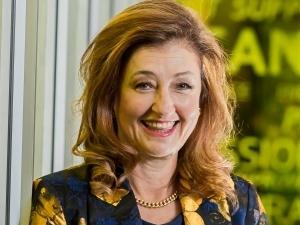 Mariana Kruger, General Manager of Products and Solutions, MTN Business. Partnerships are key to survival in a fast-changing world, and nowhere is this more true than when it comes to technology. No one company can be all things to all people, therefore it makes good business sense for businesses to partner with one another to create true end-to-end solutions that can address real problems. Mariana Kruger, General Manager of Products and Solutions at MTN Business, says innovators and leaders need to learn how to partner better, as well as to learn from their mistakes much faster and try again. "It's a case of matching the best solutions with the best connectivity provider to improve the lives of South Africans. While these types of solutions aren't always an easy sell, nor are they easy to implement and they cost money, they can potentially change the world." The future is no longer in the future, and it requires layers of technology that can only be provided by strong partnerships. Kruger says connectivity is both the bedrock and the enabler of the Internet of things (IOT). "There are four layers essential to IOT: the sensor layer, the connectivity layer, the computing layer and the application or visual layer." There's a fair amount of debate when it comes to forecasting numbers around the sensor layer, with estimates running from 35 billion to 50 billion Internet-connected devices in play by 2025, with 180 zettabytes of data predicted to be produced by these devices. Kruger explains: "Connected devices should be able to see, hear and experience the world in all its random glory without the limitations of human-entered data and previous models. This is giving us a different view of the world as we know it today. There might be a dispute about the number of devices out there, but the one thing that all parties agree on is that adoption of IOT is exploding fast because of the extraordinary capability that it brings to business. Regardless of whether it's improving efficiency, encouraging better collaboration or increasing productivity, what it's really doing is enabling the business to provide better customer service." Essential to the success of IOT is connectivity, and new technology like 5G is making IOT so much more accessible, especially if you consider high-end demands from an application perspective. The speed of transmitting data is critical, and it's equally important that all of the high volumes of data be transmitted. The computing layer has become standardised over the past couple of years, with everyone predominantly in the cloud, whether it be public, private or hybrid. "Where we're seeing the biggest change is in the data analytics. We need to come up with a better way of doing it. Artificial intelligence and cognitive computing are so important that we can't afford to still be doing data analytics using humans. Over the next couple of years, this layer is going to mature the most." Turning to the application layer, some really innovative applications have been developed over the past year. However, there's a challenge in that not all of them are sufficiently robust, scalable and secure to the levels required by IOT. It's important to note that security has to be applied across all four of the layers. Security in both the connectivity and cloud computing layers are relatively mature; the same can't be said from a sensor layer. There have been several breaches and hacks at the sensor layer. It's currently the weakest link and needs to be urgently addressed. Everyone is talking about digital transformation at the moment, with some companies further along on the journey than others. Digital transformation is just not possible without IOT, otherwise you're just digitising a legacy environment, says Kruger. Currently, 40% of data collected today isn't being incorporated into core systems. It's key to bring legacy and new environments together and see how we can take it to the next step for true digital transformation.